On the exterior phase of this Capitol Hill remodel we removed the existing entry, which faced the driveway and placed it on the front of the home facing the street. We removed the driveway and replaced it with interlocking pavers, directing the downspouts of the driveway side of the home to a new dry well in the front yard. 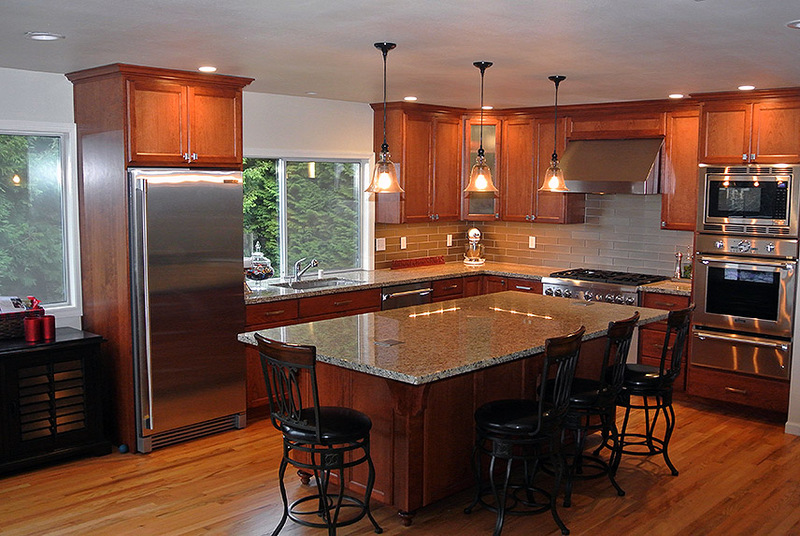 We also updated the kitchen with custom cabinets, stainless steel counter tops and a massive Island with beautiful granite. In this Magnolia home, we added a full 2 bedrooms, bath, laundry room and living room in the previously unfinished basement. We added custom iron stair railing and new oak stair. 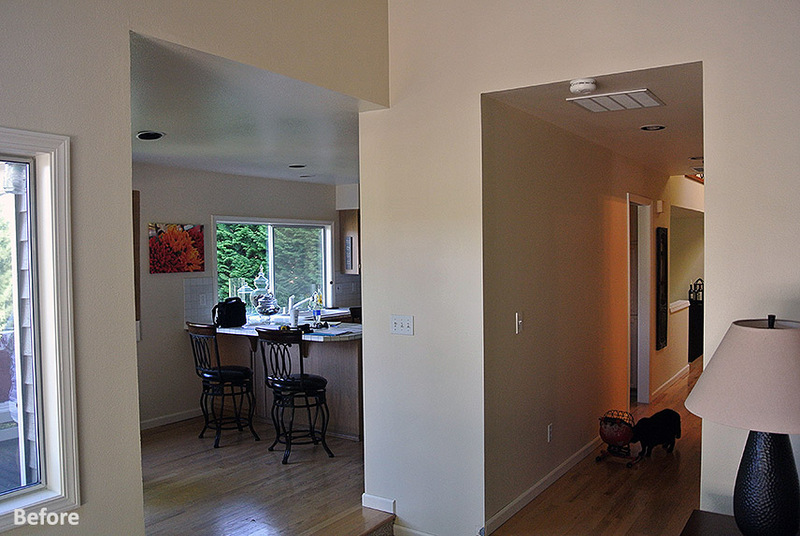 In this home, we removed two walls and installed a beam to open up the kitchen to an adjoining great room. We raised the sunken floor of the great room and installed new hardwood floors throughout to create a seamless transition. We repurposed the old fireplace into a new gas insert and added all the necessary connections for the homeowners new entertainment system.